It’s a new episode of Sound Bites. 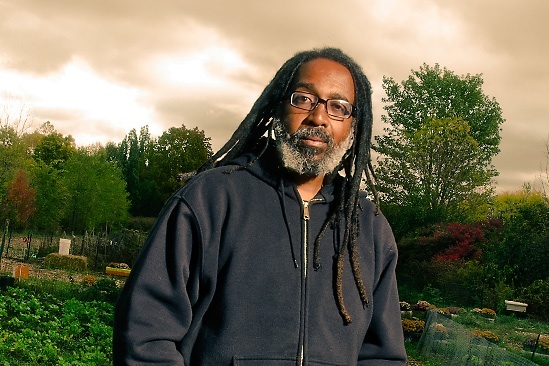 First, we speak with Malik Yakini, Executive Director of the Detroit Black Community Food Security Network and founder of D-Town Farm, an urban farm in Detroit. We discuss racism in the food system and the food movement, as well as his work fighting for social justice, food equity, and food security for the people of Detroit. At 6:30, Sound Bites continues with a debate over recently proposed federal legislation which would mandate the labeling of genetically engineered foods. We’ll hear a debate between Patty Lovera, Assistant Director of Food and Water Watch, and Thomas Redick, Principal at The Global Environmental Ethics Counsel, a law practice addressing product liability prevention, where he represents the US Soybean Export Council and the United Soybean Board, and co-editor of Thwarting Consumer Choice: The Case Against Mandatory Labeling for Genetically Modified Foods.